If you think your new puppy is safe from Parvo just because you’re giving the required vaccinations, you may not know that they could be in danger until the complete series is completed. Dogs Day Inn LLC wants to make new and existing puppy owners aware of one of the most infectious diseases. Canine Parvovirus is a highly contagious viral disease and causes death and diarrhea in puppies less than 6 months of age. It appeared in the 1970’s and is one of the worst frequent puppy diseases, especially in shelters, kennels and anywhere numerous animals are together. It can be exasperated by the various kinds of worms that infect puppies. When caught early and quick aggressive therapy started as soon as signs are apparent the prognosis for puppies caught early can be quite good, but fatalities occur. Parvo is resistant to most cleaners, and is in the environment and can stay in organic material a year or more. Before Parvo in puppies was discovered, it infected cats as panleukopenia, known as distemper. In the beginning many of the vaccination attempts were created from feline panleukopenia vaccines. Since first discovered in 1978 parvovirus has mutated into various strains with the current strains being CPV-2b and CPV-2c. It is imperative in kennels, shelters and Veterinary offices to separate cats from dogs as cats can be a carrier of the disease. Parvo is spread numerous ways and it is imperative you always keep these in mind while your puppy is young and until all its vaccinations are done, and then kept up-to-date as grown dogs can carry and get the disease. Parvo is spread from puppy to puppy, or dog to puppy, and dog to dog by contaminated objects, the most common is feces. But anything used by other puppies and dogs can carry the virus such as bedding, food and water dishes, toys, and food. The period from exposure to the appearance of symptoms is 4 to 6 days. Because the virus is difficult to detect in shelters or pet stores an apparent healthy puppy could be adopted, or bought and the new owners take them home and they fall ill a few days later causing turmoil for the new owners and the staff from where it came from. Parvo virus can be spread in feces 3 to 4 days after infection and 10 to 14 days after recovery. It will remain on a puppies coat long after recovery. Some common signs of the virus are lethargy, loss of appetite, vomiting, bad smelling diarrhea that may contain blood, fever, weakness, depression and dehydration. Puppies may have a low white blood cell count but this can only be found by a veterinarian. Occasionally there maybe heart issues with no other signs and can cause sudden death in puppies less than 6 months. See you veterinarian as soon as you can, to start shots and any other recommendations by your veterinarian, while this can be and expense, your vet has only the best interest of your puppy’s health in mind. 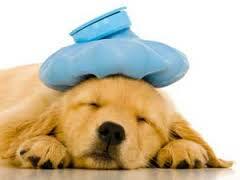 Do let them advise you on your puppy’s course of vaccinations and tests. Keep your puppy away from other dogs, do not walk them in parks and dog approved areas as the feces on the ground or even the ground where feces was cleaned up can carry the Parvo Virus. Keep an eye out for signs, from onset to death can be very fast, if any signs are seen get to your vet asap, do not try home remedies. And of course we always recommend lots of love and attention.